Share this Video on Facebook! Some times just looking at a pure shot is enough said…. Ray Allen definitely has that shot. 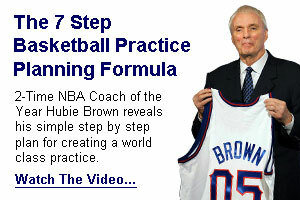 Make some notes as you see him extend through the shot, line up the ball and his body, and of course – follow through. Everything looks good right down to the back spin on the ball. There is a reason you hear these things over and over. They really do work. And there is no reason besides a lot of perfect practice that you can not have a shot as sweet as Ray’s…. What are you doing here? Get to Hooping!